Coming into this year’s UN climate talks in Lima, countries were riding a wave of positive momentum generated by good news. In Beijing last month, the leaders of the world’s two largest economies — and largest emitters — stood together to underscore their joint commitment to addressing climate change. 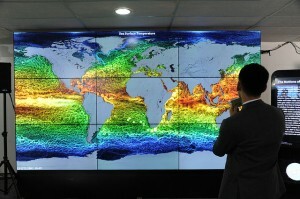 A few weeks prior, the European Union announced its plans to reduce emissions 40% below 1990 levels by 2030. As a result, the three jurisdictions that account for nearly half of annual carbon pollution worldwide have all made significant commitments to reduce or limit their emissions (although more ambitious cuts are needed to put the world on a path to climate safety). As with many important topics, however, to get a full sense of how the UN climate negotiations are going requires also looking beyond the headlines. As the talks enter their second and final week, some of the developments outside of the spotlight are raising concerns even as the US-China bilateral agreement continues to be the basis for broader optimism. 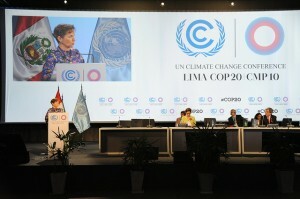 Against a backdrop of tree-covered mountains, negotiators from all over the world are meeting for the next two weeks in Lima, Peru for the United Nations annual climate change conference. 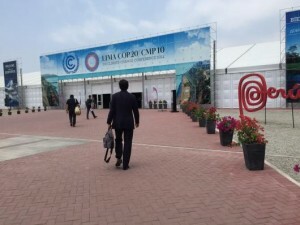 Before the meeting, Environmental Defense Fund and partners coordinated a workshop in Lima, where a group of country negotiators and other experts discussed how to bring forests and other land uses front and center in the global climate agreement to be signed in Paris next year. 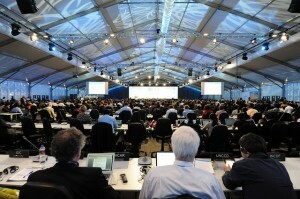 Participants agreed that the agreement needs to include land use in a simple, flexible and transparent way to encourage as many countries as possible to take action in this doubly important sector, which both accounts for about a quarter of greenhouse gas emissions worldwide and also absorbs a significant fraction of the world’s carbon emissions every year.